These settings allow you to set the picture, name, address, website and phone number of your company. They will replace the company notifications placeholders. Use the input controls available at Amelia -> Settings -> Company to adjust the Picture, Name, Address and Phone of your organization, as shown in the illustration. 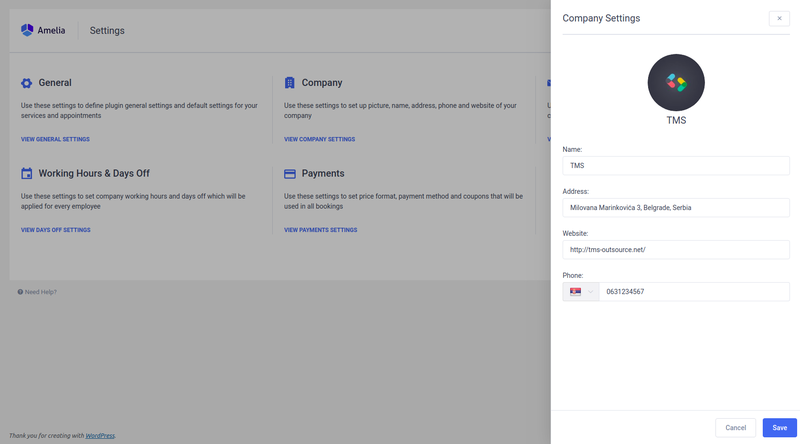 Later, values entered in these fields will be used in the notifications automatically sent to your employees and customers. These settings are available to the admin role only.